In the absence of sunlight flickered a different kind of brilliance. It was brief and beautiful, an iridescent bead at the edge of a strange and moving place, a lonesome cemetery sloping towards the shore. There were cherry-red candles and sticks of incense left as offerings, sea-mist like a shawl. In the shallows, the sleek ripple of a seal broke the surface, and then that bead of bright and whirling light caught our eye, glittering from a tree. I’d crossed the Puget Sound from Seattle to Victoria by ferry that morning. All the braids of blue water and knots of winter-green islands that I’d seen earlier in the week as my flight lowered over the Pacific Northwest had been stripped back by coastal weather to a series of spectral shades. The sky was tarnished, the colour of old cutlery sold out of shoeboxes at car boot sales. Rain hung across the sound like a ghostly, shifting veil, the air stippled with spray from the dark waves rising against the hull. Wherever I looked, sky had joined sea. There was no distinction other than the line of their entwining, like a thin seam of solder sealing them together in place. As my ferry slowed into Victoria, my friend Lorne met me in the harbour. After a late breakfast of pancakes, eggs and coffee in a warm and homely diner, we set off through mist and drizzle. “There’s a place I’d like you to see,” said Lorne, steering us towards the coast. We pulled over above a crescent bay, then sank down a winding rocky path into a meadow of scattered stones flanked by a few houses, a cemetery at the edge of the sea. Everything was saturated. Mosses and lichens had sponged up the rain, swelling into bright winter flowers on the graves. Each name on the stones was etched in Cantonese, and within moments of being there I felt that strange, magnetic hold that some places have over us. 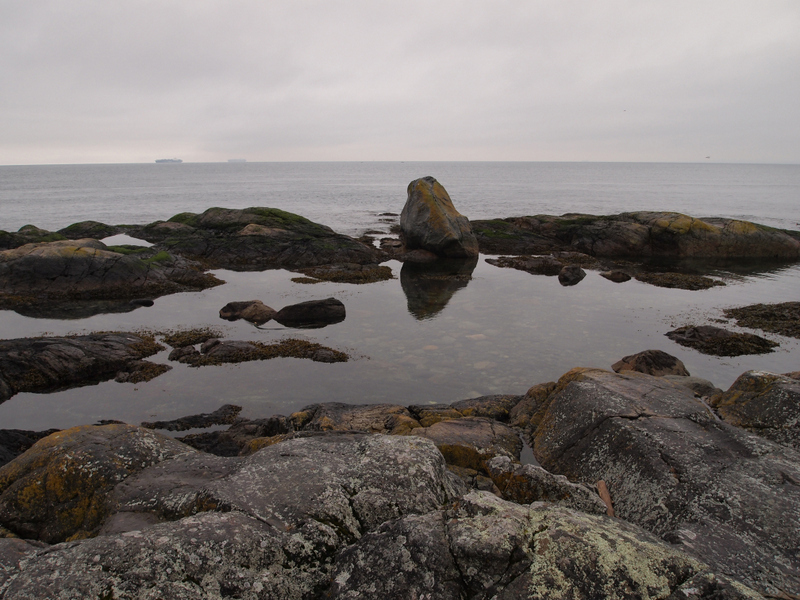 A seal cleaved the grey waters close to shore; a harlequin duck, exquisitely turned out in black and maroon, hugged the rim of a tide pool; a black oystercatcher fanned itself along the coast. Amidst all the movement of the breathing world, though, was the ineffable stillness of the departed. 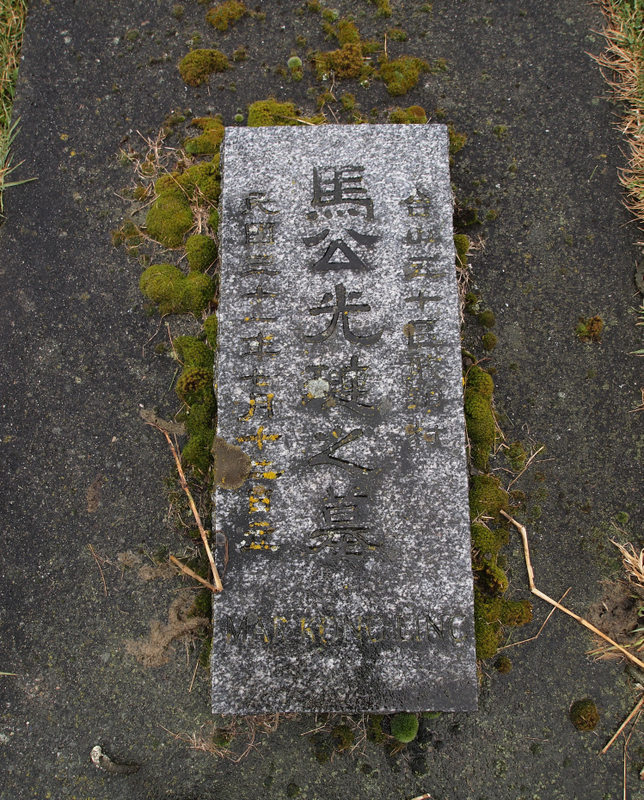 In the 19th century, the Chinese community of Victoria was forbidden from burying their dead alongside the city’s other residents. 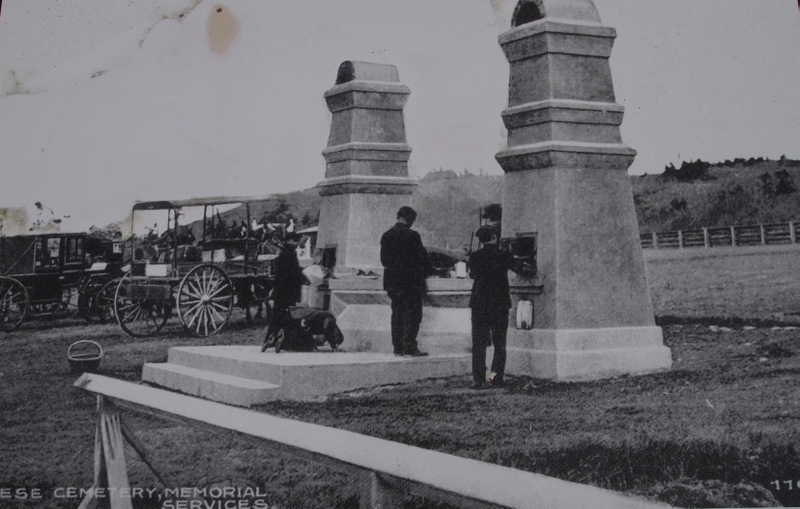 Instead their graves were dug in a separate, racially segregated section of the Ross Bay cemetery. 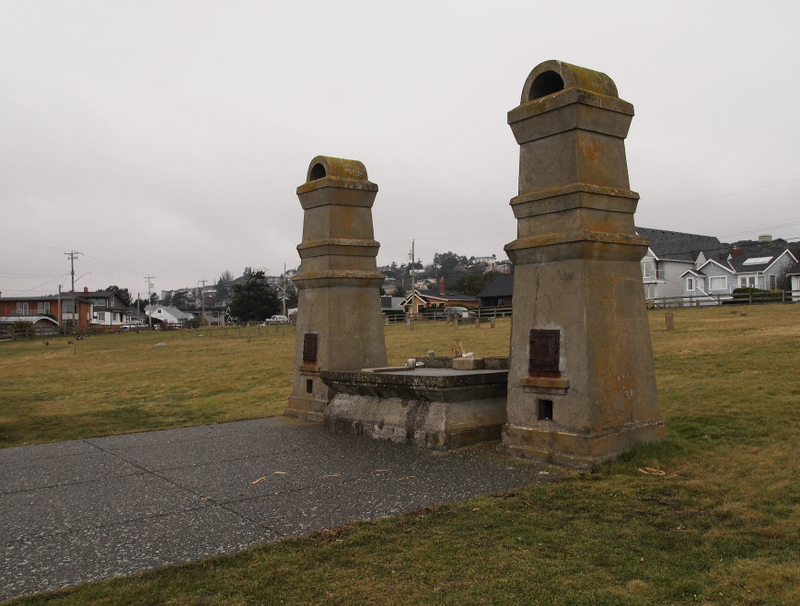 Allocated a low-lying quadrant prone to erosion, the graves were occasionally swept into the winter sea by storms, so in 1903 a Chinese community association in the city purchased a plot overlooking the Strait of Juan de Fuca on Harling Point, guided by the principles of feng shui. For the ancient Chinese, feng shui – meaning wind, water – was a philosophy of orientation, a way of seeking harmony between earthly existence and the surrounding environment. It sought to locate significant human structures, such as homes, buildings and tombs, in places of vital, life-affirming energy. It looked upon the natural world as essential to our well-being. I can’t pretend to understand the complex symbolic underpinning of the philosophy, nor the intricate reading of the heavens that it would have entailed before the invention of the compass, but I do know something of that desire we have to orientate and align our lives with the natural environment, seeking affinities with landscapes, places and wild creatures that deepen the significance of our brief presence here. Our lives wedded, in wonder, to the world. 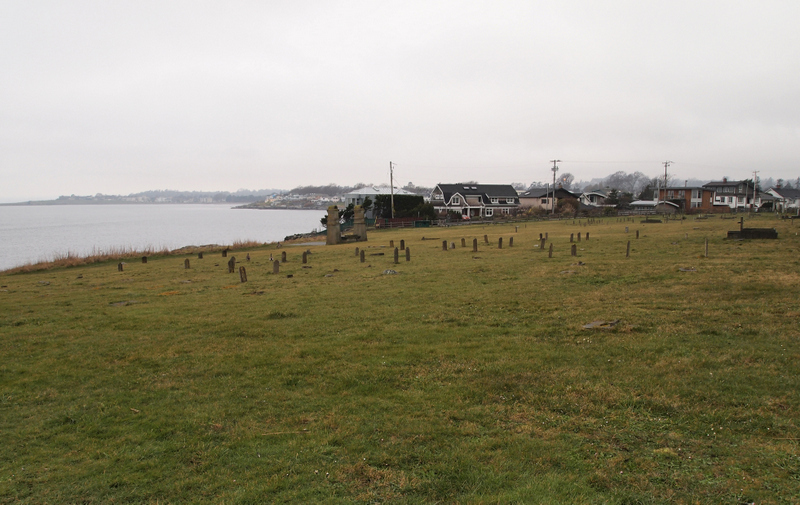 Despite the auspiciousness of the site, the dead were only intended to be temporary residents of the Harling Point cemetery. Chinese belief at the time maintained that a body’s soul would hover over its tomb and remain homeless unless returned to its natal village. After a period of seven years, the bones of the dead were exhumed, cleaned and stored in a ‘bone house’ until they could be packed in crates and eventually repatriated to China by ship. This practice ceased permanently in 1937 when, with the start of the Sino-Japanese War, ships were unable to make the crossing. 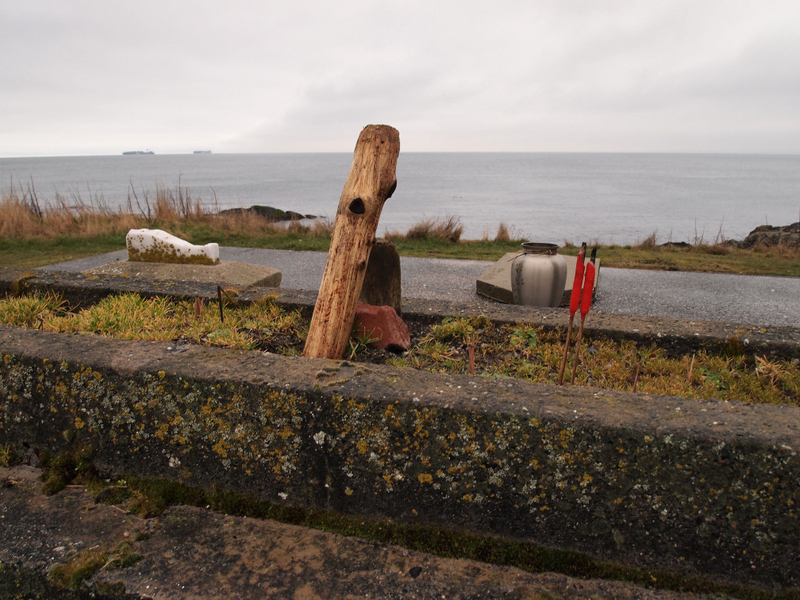 In the 1960s, the bones of nearly nine hundred people, stored until then in the ‘bone house’ and originally intended to be returned to their ancestral homeland, were buried in thirteen coastal graves on Harling Point, stranded, both in and out of place. Despite the sparseness of visible markers, the sea-sloped earth is weighted with loss, with only the consolations of wind and water to leaven it. Drizzle turned to rain as Lorne and I left, winding our way up the path, turning every few steps to see the gravestones pitched at different angles against the endless pewter sea. I knew the cemetery had moved me in a way that certain places, however unexpected, sometimes do. Its resonance rang through me like a bell. Near the top of the steps, a series of faint buzzes and sharp whistles broke our stride. You’ll probably hear it before you see it. We turned and followed the sound to a leafless tree at the edge of the path, the cemetery and sea spilling away beneath us. At the tip of a branch whirled the emerald and rose glow of an Anna’s hummingbird, glimmering in the winter rain. 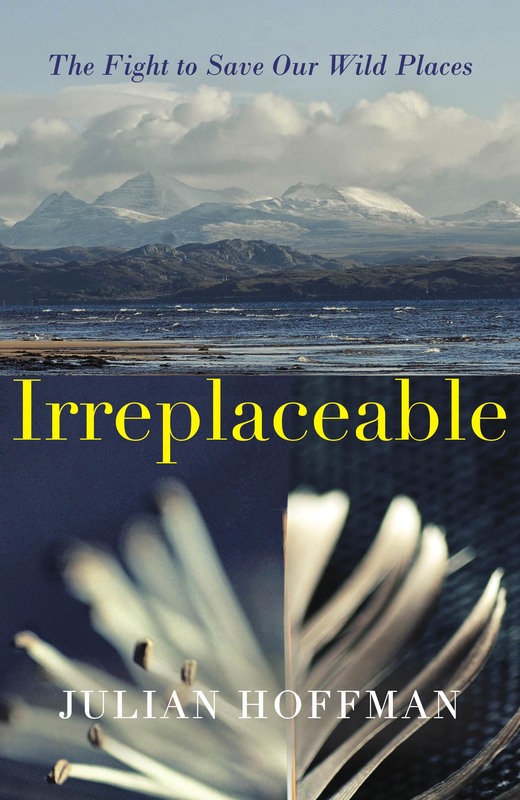 Many thanks to the wonderful Caught by the River for first publishing this piece on their website. 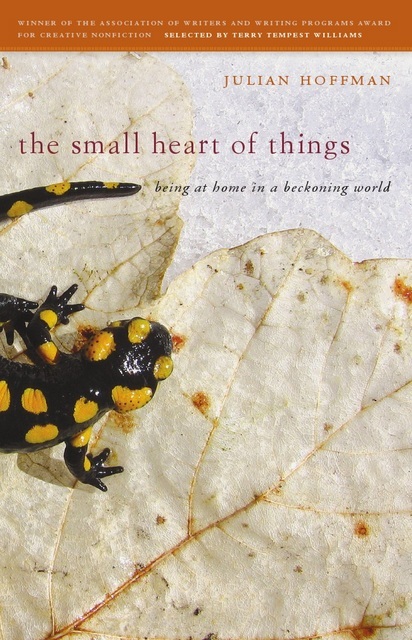 It was while I was about to fly to London a couple of weeks ago, partially to read at a Caught by the River event, that I learned that The Small Heart of Things had won a National Outdoor Book Award in the U.S. for Natural History Literature. I don’t think I’ve yet come down to earth. I’ve known of the National Outdoor Book Awards for some years ago now, and it was in 2012 that one of my favourite books in recent memory won the same award, David George Haskell’s The Forest Unseen. Taking a square metre patch of old-growth Tennessee forest, Haskell tells an evocative and attentive story of the woodland world, weaving scientific precision with a vivid, poetic richness as he reveals the extraordinary lives and processes at play in such a small segment of earth. It’s a deep honour to be chosen this year for the award, and to be included in such good company as this remarkable and inspiring book. A beautifully moving story, Julian. And I am glad that you saw the hummingbird. Many thanks, Laurence. Delighted you enjoyed the post. I was also pretty glad to see the hummingbird! It then became the signature species of the journey as I saw them nearly every step of the way south along the coast. Wonderful to hear of your connection to the place and that you used to ride your bike there! I’m so sorry that it’s taken me this long to reply, but I really enjoyed reading this comment. I didn’t know that the Ross Bay Cemetary had been planted as an arboretum. I had only a few days in Victoria and would love to get back, not only there but to see a little more of Vancouver Island. I have to confess, the place cast a spell on me. Hope all is well with you! Good to take this journey again after reading it on ‘Caught by the River’. I remember almost doing a double take when I read ‘hummingbird’ the first time. Glad that you managed to see (and hear) one. Thanks, fifepsy! Sorry about the late reply, but yes, that first sight of the hummingbird in the rain was as magical as nearly any animal encounter I’ve ever had. Perhaps, like your kingfisher on the canal, it’s these unexpected moments that move us most.